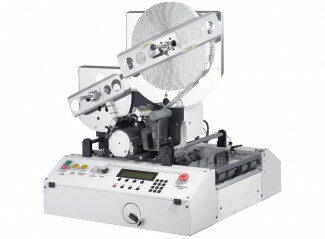 The AMS 8900 tabbing machine can quickly and easily apply tabs to folded mailpieces, making it an ideal way to deliver eye-catching mail without the risk of it being opened. 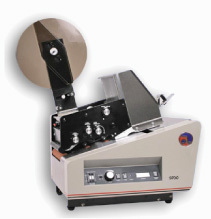 The consistant and reliable tabber can apply up to 3 tabs or stamps at a time up to 38mm (1.5inch) in size, and to mailings of up to 10mm in thickness. 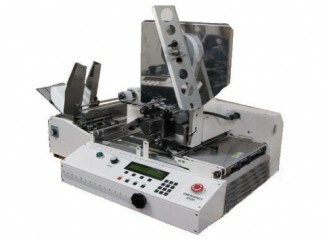 Aimed at medium range production mailers, the speedy tabber is is capable of applying tabs at up to 20,000 mailings per hour. 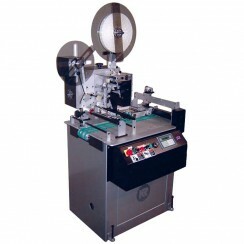 The AMS 8900 requires an automatic feeder for off-line tabbing. 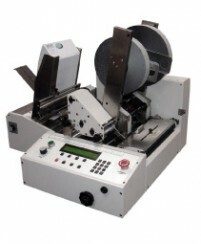 Each mailpiece is fed into the tabber where it contacts an adhesive tab then travel through a set of rollers and the tab is tightly folded and sealed, creating a mail-ready piece. Accuracy is also important and tabs are folded tight to the edge of the piece, without drifting from left to right. 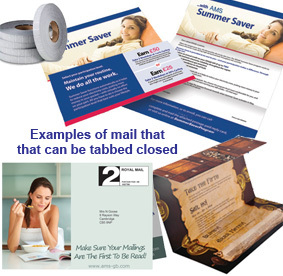 Depending on document specifications, the mailpiece can be fed through in different directions, to apply tabs in various locations. 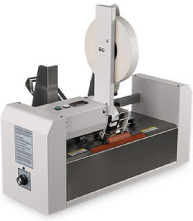 The tabber can be used in-line with a conveyor so tabbed pieces can be stacked in a neat, sequential order for easy removal, or with other mailing equipment such as labelers and address printers.